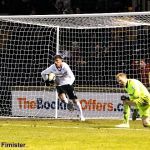 Grant Murray opted to go with the same starting eleven which began last weekend’s match against Falkirk, while Rangers started with former Raith goalkeeper Lee Robinson between the posts. 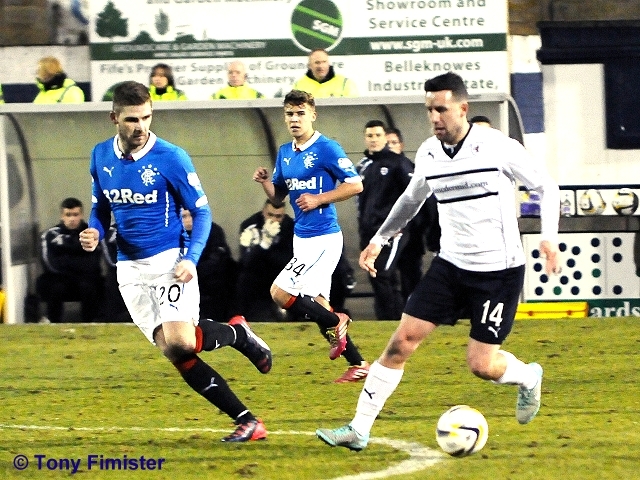 It was an attacking looking line up from Rangers, with Kris Boyd and Nicky Clark up front, supported by Haris Vuckic and Nicky Law out wide. 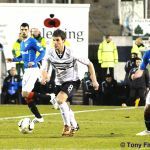 Despite Rangers forward thinking selection, it was Raith who made arguably the better start, with Jason Thomson prominent in the opening stages galloping forward whenever possible, and pinning back Vuckic, who had been Rangers brightest spark in the Scottish Cup tie at Ibrox two weeks previously. 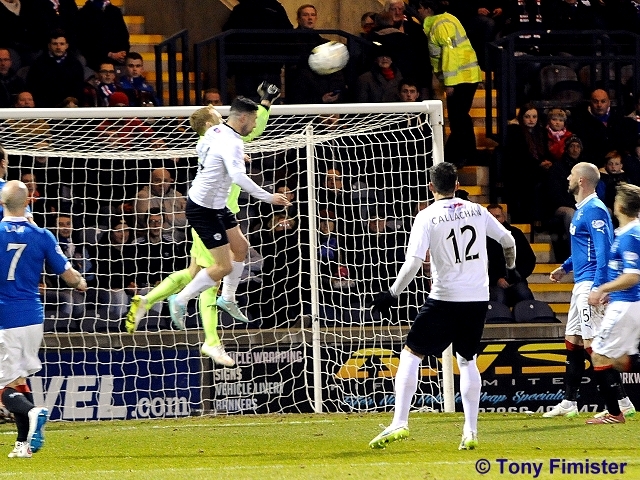 Even with the confident opening however, Raith were failing to test Lee Robinson, with just a swirling cross from Grant Anderson asking any questions of the goalkeeper, who did well to punch the ball clear. 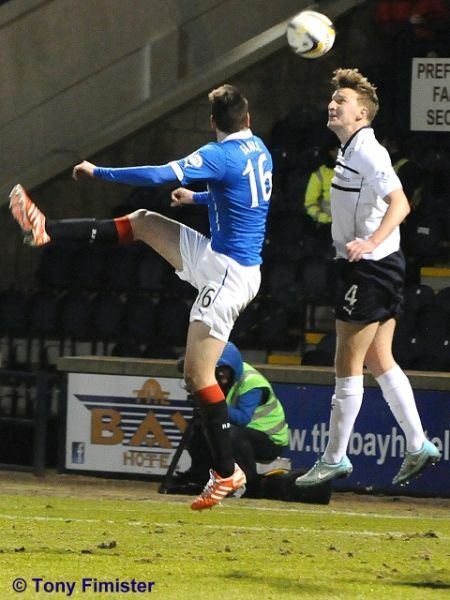 Other than that, the exchanges in the first twenty minutes were relatively even-Stevens, although a 25-yard drive from Clark was the best chance of the opening spell, after he elected to strike it early, once the ball had been nicked off Lee Wallace’s toe by Anderson. Clark’s shot may actually of been on target, if not for a deflection off Dougie Hill, but referee Craig Charleston signalled a goal-kick. 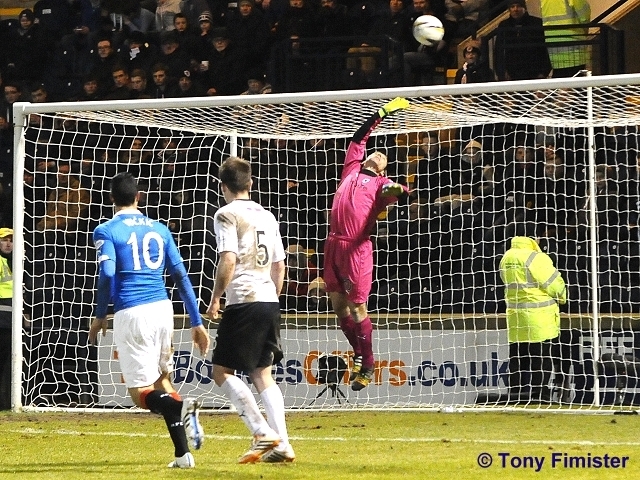 Rangers came even closer a few moments later, when a one-two between Lee Wallace and Vuckic, ended with the latter crossing to Boyd, whose header struck the top of the crossbar. 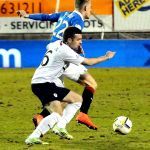 Rovers attacks were starting to become less frequent, although their next piece of forward play came from an unusual source, when Dougie Hill turned into a skilfull winger, nutmegging Lee McCulloch, but his cross was blocked. 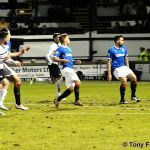 The momentum seemed to be swinging towards Rangers at this point, and with both full-backs, Wallace and Sebastian Faure providing plenty of width, and Rangers winning the central midfield battle, Rovers were starting to get pegged back. Cross balls and set-pieces were proving to be something of a nuisance to the Rovers defence, and Vuckic came the closest to exploiting it, sending a free-kick into Clark at the back-post, but he nodded it wide under pressure from Rory McKeown. 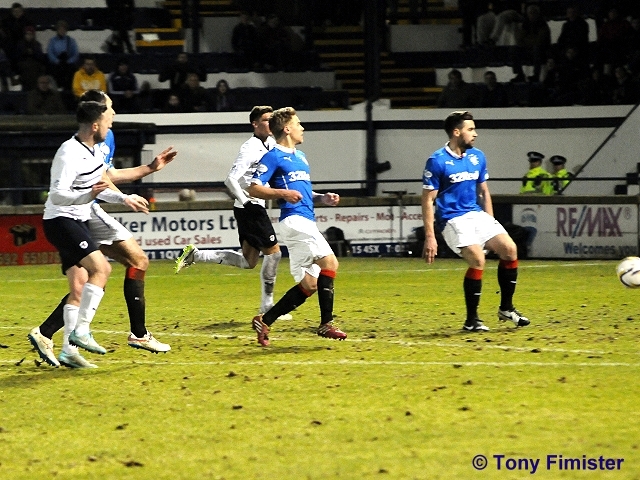 Law then did exactly the same from the opposite side, sending a cross into the box from Raith’s right, which Faure met well, but headed wide of the target. By this stage, Rangers were now very much in the ascendency, with Boyd and Clark linking up well. The former picked up the ball on the edge of the area, and with his back to goal, he shielded the ball from Hill, allowing Clark to fire towards goal, but the shot slithered past. It was starting to look like it was just a matter of time until Rangers took the lead, and they did exactly that in the 34th minute. Wallace slipped a pass inside to Andy Murdoch, and while his 25-yard drive was exceptionally planted into the top corner, he was given too much time to look up, and pick his spot. 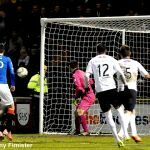 It was a goal that was richly deserved, with Rangers dominance of the latter part of the half so great, that Rovers were relieved just to be the one goal down at half-time. Raith really needed to start the second period with some added vim and vigour about themselves, but they almost went further behind in the opening few moments of the half. 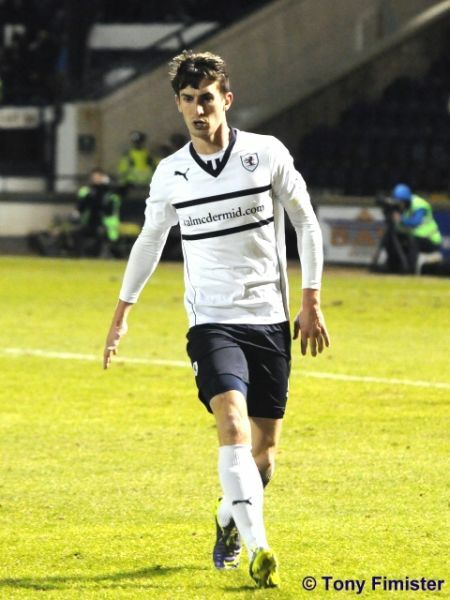 A dinked ball in from Murdoch, saw the Raith back line simultaneously appealing, rather than defending, allowing Clark to attempt an ambitious volley that flew just past the post. In the 50th minute however, Rangers did indeed double their advantage, with a goal that summed up the disjointed nature of Raith’s showing up until that point. Wallace was allowed space at the edge of the box, and his fierce drive was charged down to the edge of the area. Kris Boyd then swiped his leg at the ball but missed it all together, but with a phalanx of bodies in the box, and no-one able to clear, the ball fell back to Boyd, who was able to toe-poke the ball past McGurn. 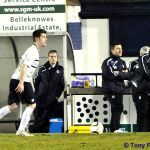 Raith now had a mountain to climb, although they were almost given a helping hand back into the match by Rangers custodian Lee Robinson, not once, but twice. Firstly, he came to punch away a cross from the right, but got nothing on it, allowing Christian Nadé to glance a header towards goal, but over the bar. 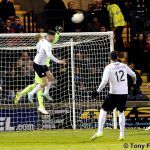 Then the third-choice Rangers goalkeeper came rushing from his box, sliding to clear the ball, but with the keeper grounded, Grant Anderson was unable to get any loft into his finish from 35-yards, and the chance was gone. 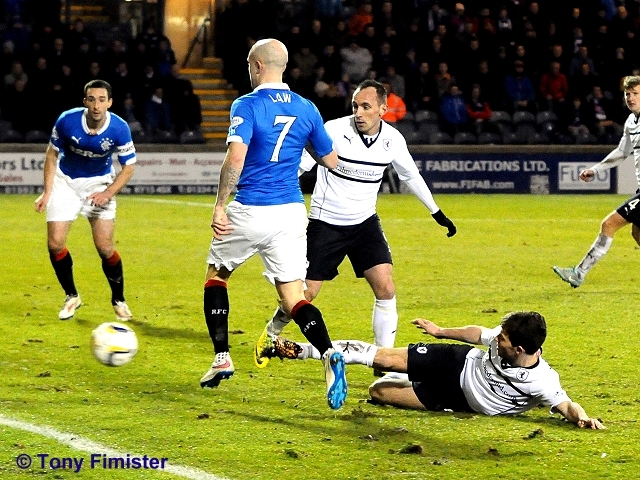 Rangers were still looking the most likely to score again, and with 25-minutes remaining, Faure was presented with a chance from three yards out from a Vuckic corner, but McGurn spread himself superbly, deflecting the ball away with his chest. 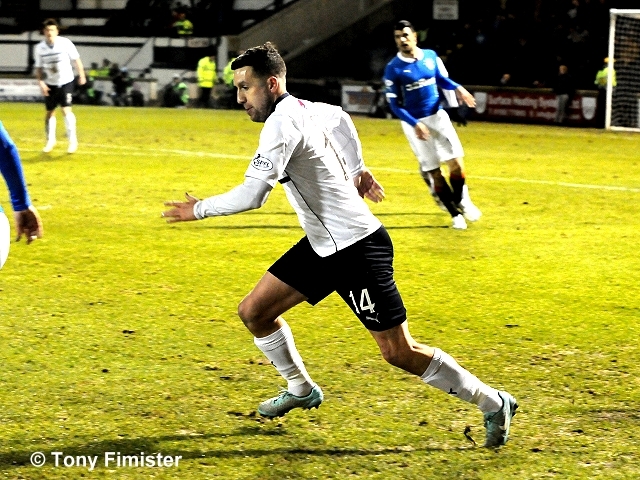 Raith then had another huge let-off, when Vuckic, who was again a fine attacking outlet for Rangers, cut in from the right and tested McGurn from 20-yards. His shot was palmed away, but with three Rangers players lying in wait, it seemed a certainty that one would make the scoreline 3-0. 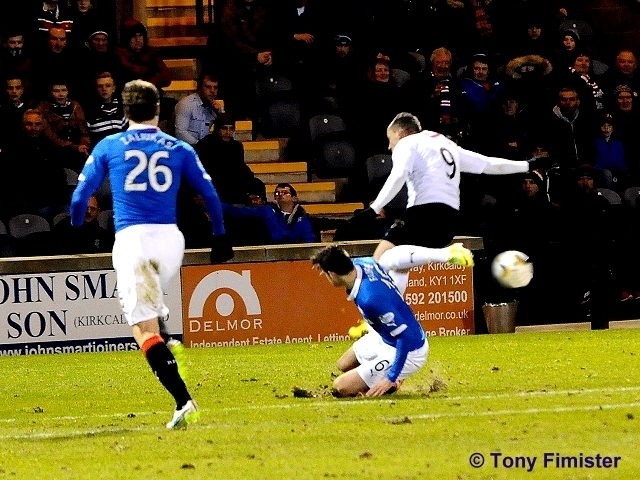 Incredibly, with the goal gaping, Clark sent his diving header wide. Suddenly, from certain defeat, Rovers got themselves back into the match, with a well taken goal on 70 minutes. Mark Stewart cut in from the left and attempted to tee up Callachan, but the pass was just beyond him. It ran perfectly to Ryan Conroy however, and his first time effort from outside the area, took a deflection off Wallace, and looped over Robinson and into the net. Callachan then came close to restoring parity, with an excellent volley which was kept out by Robinson, but there would be no grandstand finish, with Rangers keeping the ball well, and restricting Raith’s endeavours. 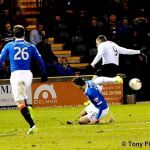 In the closing stages, Nadé hooked an ambitious effort over the bar, with Robinson out of position, and while it was a good opportunity, Rangers were worthy winners. Raith’s next match will be a week on Saturday, when they travel to West Lothian to take on Mark Burchill’s Livingston side. 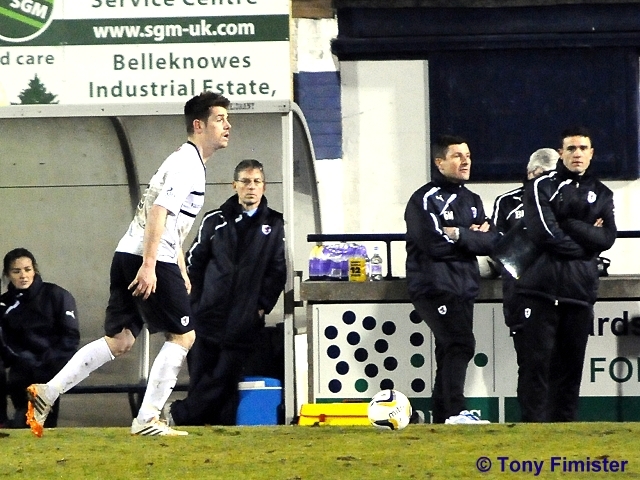 No surprises in Raith line-up - Stewart and Nadé up front, with Callachan and Moon in the middle. 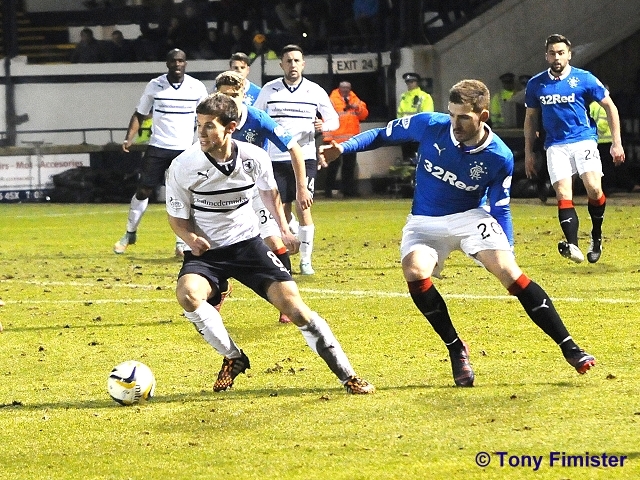 Rangers have Simonsen, Black and Daly on the bench, Miller not in the squad. No other major surprises. All 4 stands very busy but none of them quite full. Game on! 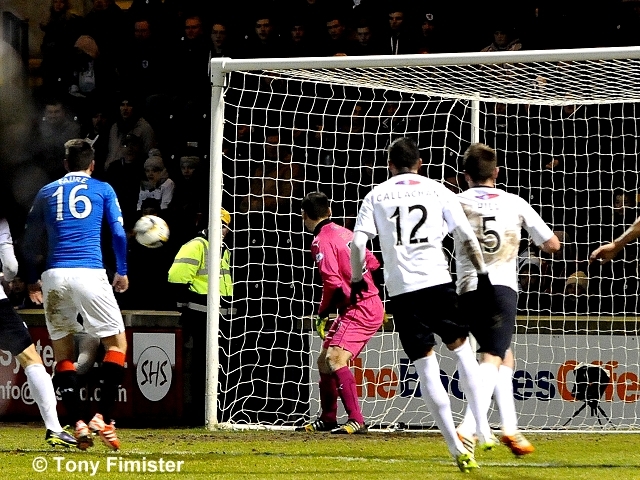 Boyd hits the top of the bar with a looping header from Wallace's cross. Decent chance. Anderson stands off Murdoch, and he lashes it in the postage stamp corner from 20 yards. Great hit, 0-1. Nade just misses the target with a header. 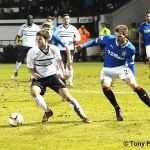 Friday night football returns to Stark’s Park this weekend, when Raith Rovers face Rangers for the second time in just under two weeks, with Rovers looking for a repeat of the performance that brought their first victory over Rangers at Ibrox since 1959. The meeting sees two teams who are in contrasting form. Rovers are now seven games unbeaten, while Rangers have won just four of their last ten matches in all competitions, losing the other six. That sequence has seen Kenny MacDowall’s side slip to third in the Championship table, although they do have three games in hand over second placed Hibernian. While Raith have emerged victorious in the last two meetings between the sides in cup competitions, they’ve fared a lot poorer in the two league encounters this term, conceding ten goals in the process. 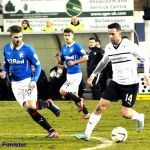 Goals from Nicky Clark, Ian Black, Nicky Law and a penalty from Lee McCulloch, saw Rangers win comfortably at Stark’s Park in September, with the 4-0 victory temporarily moving Rangers top of the league. 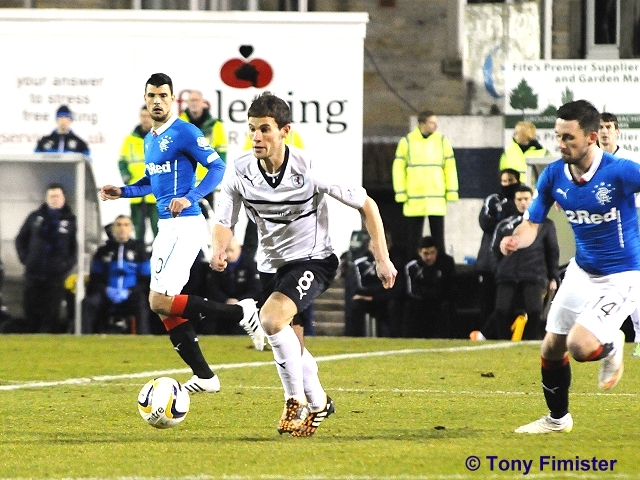 The return match at Ibrox in October was an even more chastening experience for Grant Murray’s side. 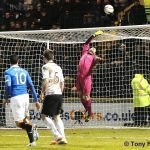 Lee McCulloch and Nicky Law gave Rangers a 2-0 lead, before Martin Scott halved the deficit early in the second-period. 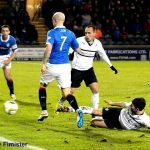 However, any hopes of a comeback were extinguished almost immediately by Kenny Miller, while further goals from Kris Boyd, and two from Jon Daly, saw Rangers run out 6-1 winners. 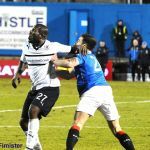 Whilst Rangers form may of dipped recently, they still have an imperious record against the teams outwith the top four, dropping just four points, all of them against Alloa Athletic, in 14 matches. They also have a formidable defensive record away from home this season, with just nine goals conceded in ten games. Only table-topping Hearts have a more solid defensive away record. 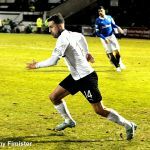 A win for Rangers on Friday evening would move them back up to second, but they may find it tough against a Rovers side who are making a fine habit of scoring late goals this season. 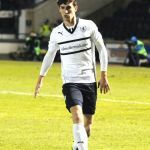 Ross Callachan’s late, late strike against Falkirk was the second time in as many weeks that the team have plundered a dramatic draw, after Christian Nadé did the same at Easter Road at the end of January. 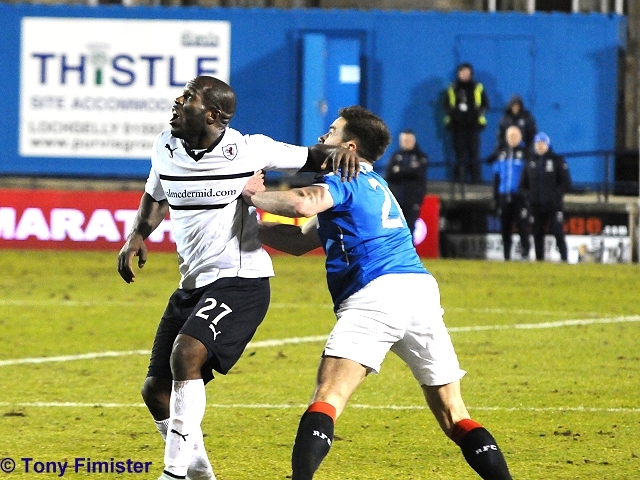 If Rovers are to take something from this game however, they’ll need to overturn a poor record against Rangers in the league, which sees them with just four draws and no victories from their last 14 league meetings, with their last win in the league coming in a 2-1 win in 1970.